Given the vast number of examples, the survey that I did of recordings of Mahler Symphonies — “Mahler on Record: The Spirit or the Letter?” — in the book Perspectives on Gustav Mahler had to be restricted. — those conductors central to the stimulation of interest in the composer in the middle of the twentieth century. 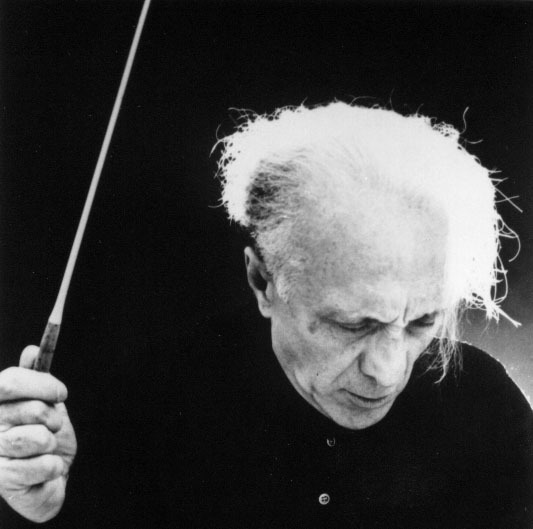 The Eighth Symphony was omitted, largely because it has fewer interpretive problems; Barbirolli was omitted because his influence was limited by EMI’s lack of interest in recording him in Mahler, and Horenstein was not discussed for similar reasons — a great pity in both cases. However, I did make the point in passing that, in most of the the commercial recordings he made, Horenstein was not well-served by his recording team. The over-use of multi-miking and the musical insensitivity of the balance engineers frequently conspired to wreck Mahler’s carefully considered orchestral balance. This is regrettable, and unfortunately cannot be remedied by any amount of “restoration” work, because the recordings were committed directly to stereo. I have placed an illustrated example of this poor balance on my website where a link is also given to pages from the essay. One is used to read that the Eighth is the more complex of the mahlerian scores, so reading that ‘it has fewer interpretive problems’ came as a surprise. I would be grateful if you could go more deeply into this. Briefly, the Eighth Symphony needs a highly skilled conductor — one who can control the large forces and keep them on track without the ensemble coming apart. This requires a much more solid technique than a purely orchestral work, as a well-trained orchestra can hold itself together, whereas holding singers and orchestra together takes experience and a clear and unambiguous conducting technique, most commonly acquired in the opera house. There are not many opportunities for difference of opinion regarding the interpretation of the Eighth This is largely because the thematic material contains its own tempi, and if you ask singers to go too fast or too slow they are unable to follow you or they run out of breath. None of the above implies that the work is not complex, though I find the Ninth Symphony to be much more so. Thanks for your informative reply. So opera conductors have a kind of advantage! I understand now why the Eighth from Mr.X is so chaotic. Although this summer he has conducted Wagner I think that he is not usually seen in opera pit.